Notes on The Discomfort Zone by Jonathan Franzen; and on Swann’s Way by Marcel Proust, translated from the French by Lydia Davis. By the time this is published, I will be in a little farm approximately two hours’ drive away. I don’t think I’ll be getting any reading done, but old habits die hard: I’ll be bringing with me Jonathan Franzen’s slim book on his “personal history”; I’m still wondering why he didn’t just call it a freaking memoir. I’ve been thinking that 2013 is the year of reading more Franzen, who I’m always aware is a rather divisive creature in the book-devouring world. A lot of people call him a relentless curmudgeon and, worse, a bore—and, well, I have to agree. But he’s my favorite grump, and though I have to sit and grumble through endless monologues about Siberian politics and goddamned finches, there’s a depth and unexpected heart in the stuff he writes. I love his essays, and I continue to love The Corrections—and his The Discomfort Zone, a series of essays detailing his life with his family (which, never mind his protests, is the basis of The Corrections) is definitely, so far, my cup of tea. 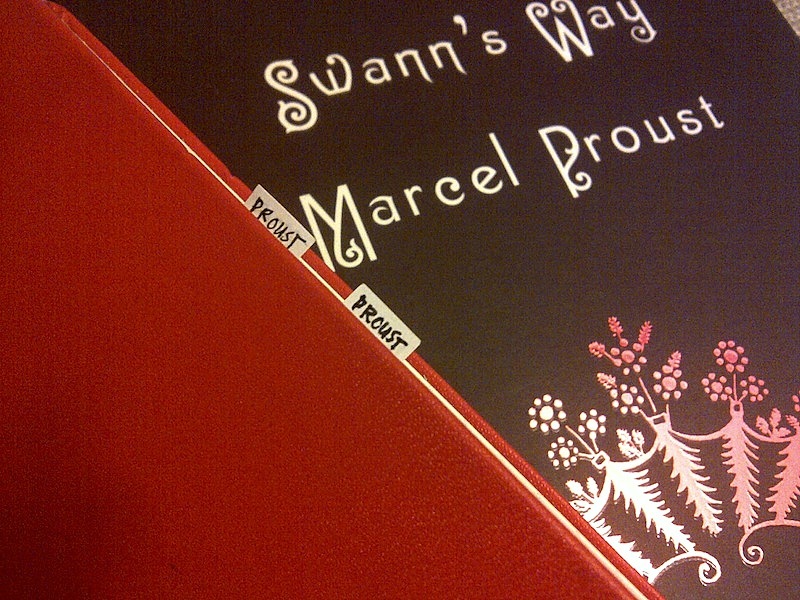 I continue to read Proust as well, though it’s been slow going. But I think that’s only right: Again, the prose is lovely and his painstaking attention to detail is exquisite—but both pose a challenge for me. In the middle of his sweeping paragraphs, I have to tell myself to give it the focus it deserves; do not be distracted by shiny things, girl! This was many years ago. The staircase wall on which I saw the rising glimmer of his candle has long since ceased to exist. In me, too, many things have been destroyed that I thought were bound to last forever and new ones have formed that have given birth to new sorrows and joys which I could not have foreseen then, just as the old ones have been difficult for me to understand. It was a very long time ago, too, that my father ceased to be able to say to Mama, “Go with the boy.” The possibility of such hours will never be reborn for me. Well, that’s lovely. And more than a little sad. Sasha Martinez. Connect with me on: Google+.